A four Bedroom home located in a quiet cu-de-sac close to bush land with a 12 minute walk to train station, 5 minute walk to bus stops &amp; shops. 2 minute drive to M1 freeway access. 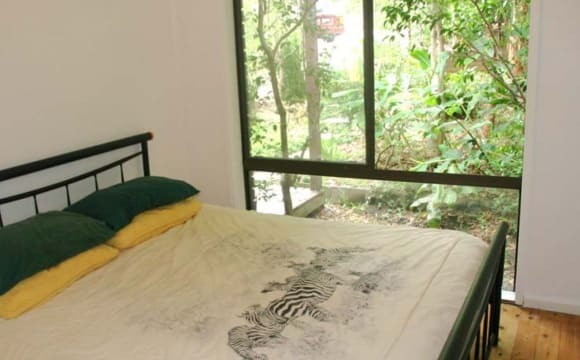 The house is on a 1000sqm lot with a rear lawn that drops into a rainforest style garden with natural creek waterfall. A number of chickens free range in the yard along with a Maremma dog. Renovation work currently in progress and rooms may or may not be available.  Water &amp; electricity usage included in rent. Internet not provided. Please provide some sort of introduction on contact rather than simply demanding to see the house. The bedroom has built ins and a private corridor. The house is sunny, with bush outlook, a garden and a veggie patch. 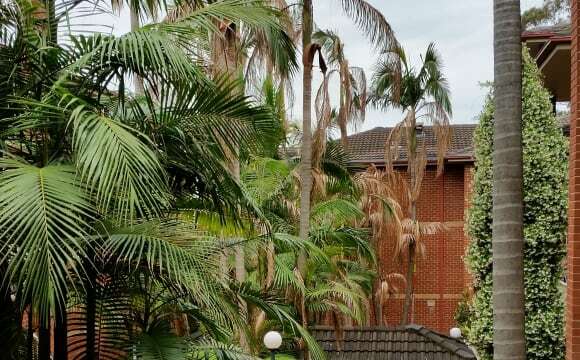 It is a 10 minute walk from Asquith train station and shops. Room is furnished with a bed if desired. Air conditioning in the main area. There is a garage for storage. We are near Ku-ring-gai Chase national park. It’s 7 mins walk to Asquith station, Coles, Medical Centre/Pharmacy and 2 mins to Mills Avenue Oval that provides for great walking/running track. 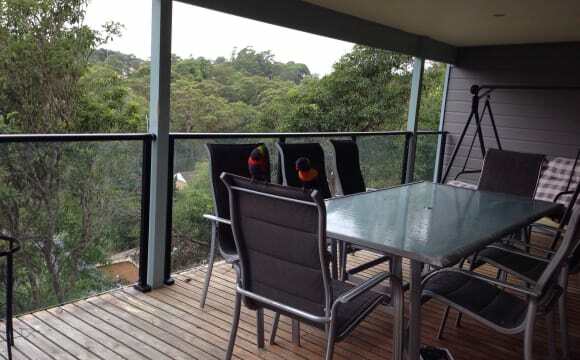 There is a great view of Ku-Ring-Gai National Park from the balcony and Bobbin head trek is just a 10 mins drive. Nearest Bus Stop is again a 2-mins walk. 5 bedrooms with 2 bathrooms. 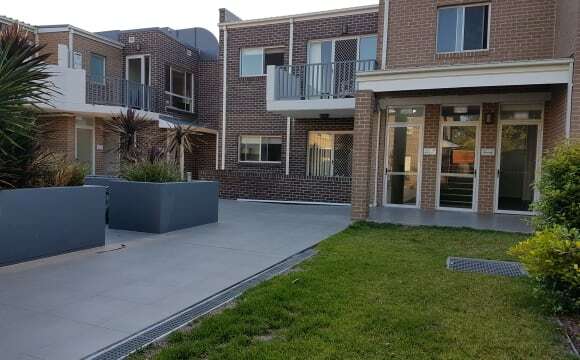 Quite street walking distance from Asquith station. Off street parking area. You will have your own room and bathroom. 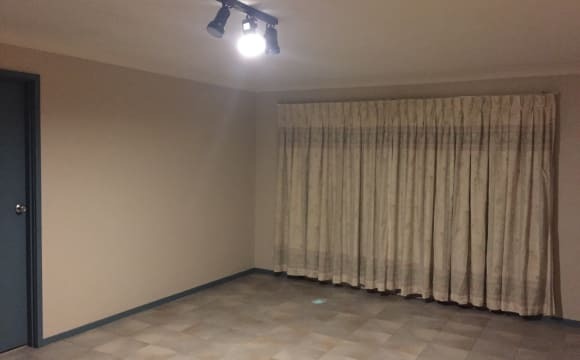 The room is currently furnished but can be unfurnished if you prefer. Includes a tv and Netflix.  I'm a single dad and am very respectful of someone's privacy. Fully furnished top floor apartment, in a brand new complex, with an upstairs loft bedroom with private ensuite and air conditioning for rent. The room is a double bed room and will consider supplying a desk and chair if required. Also has an extra tv outlet and plenty of hanging space. 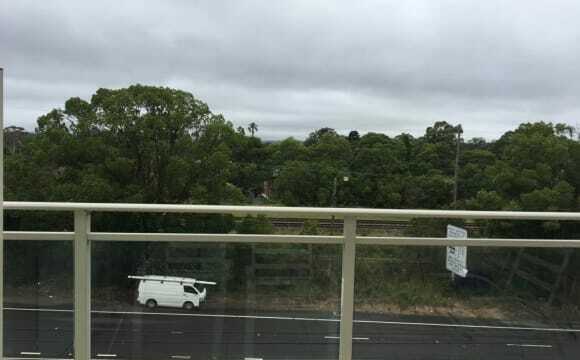 Has unlimited internet with ADLS2+ (NBN on its way), close to coles and restaurants, bus at front door for Hornsby and asquith train station is 150 metres away. The apartment is only 2 and a half years old. There is no previous occupant in the room to let. The room comes with balcony and you would have your own bathroom. It is within walking distance to the nearest train station, approximately 500m, 7 - 8mins included traffic lights. Only sharing with myself, would be great for professional workers or students who appreciate their own space. Common area is fully furnished and you are welcome to use anything in the area. 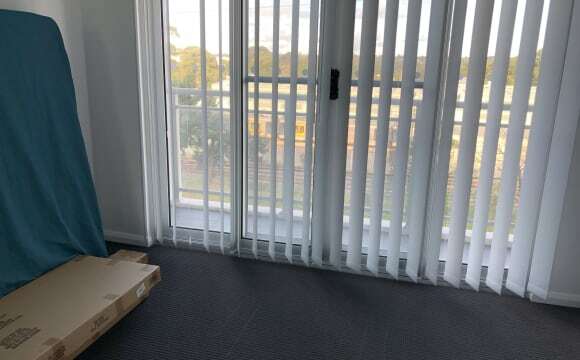 The room to let itself has no furniture set up yet, depends on your need, there is a brand new bed available and other furniture can be provided if required. Or you are welcome to bring your own. Large room can be used as combined living and bedroom. Unlimited internet included in the rent. 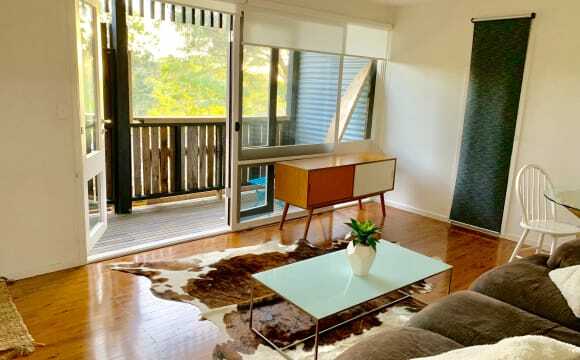 Private room in Hornsby, fully furnished,newly renovated bathroom and new furnitures. Parking available,200 per week including bills and internet. 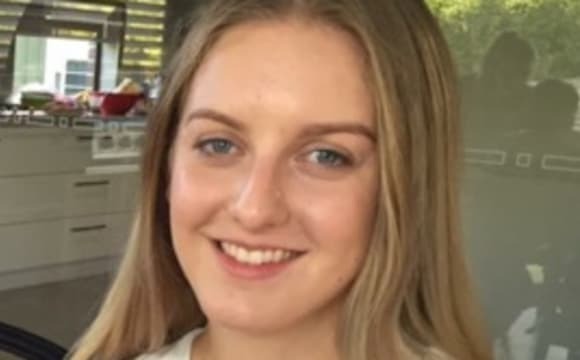 13 mins working to Asquith station and Coles etc. swimming pool free to use. 5year old home located 2 minutes walk to Hornsby Hospital, and 20 minutes walk to Hornsby or Asquith Station, bus stop is 2 min walk. You will have a double sized bedroom, furnished or unfurnished, 2nd room is slightly smaller. Own bathroom and toilet, own living area with tv, own outside sunny deck to enjoy. Your bedroom, living area and deck are downstairs so there is loads of privacy. Your room has an oversized walk in robe and ceiling fan. There are 2 bedrooms available. Rent includes bills and internet. Rent must be paid 2 weeks in advance. You must be very clean and tidy. It is a secured compound of 2 storey townhouses, we are on the ground floor overlooking the courtyard. It has all the modern facilities. Your bedroom has built in wardrobe, you have your own bathroom, storage underground and for an extra nominal rent, off-street car space. It is located close to hospital and Westfield shopping mall, a bus stop right in front too. The unit is in a security block, up 1 flight of stairs. It is a 15 minute walk to the station and Westfield. There is air con in the living area. Foxtel, WiFi and bills are included in the rent. Limited storage is available in a locked garage under the block. I use the master bedroom and ensuite. 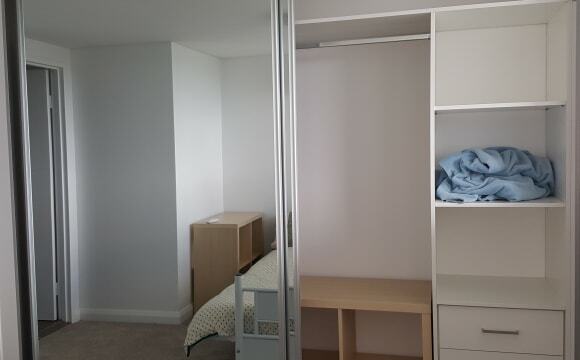 My flatmate will have the second bedroom with a brand new king single bed, small built in robe, chest of drawers and bedside table (see photos). They will have sole use of the main bathroom. The original kitchen has a new fridge, oven, and microwave, and is well equipped. There is a dishwasher too. There is a laundry with a washing machine, but the clothes dryer is located in the main bathroom. Parking is on the street. Great location to shops and public transport, only a 5 minute walk! 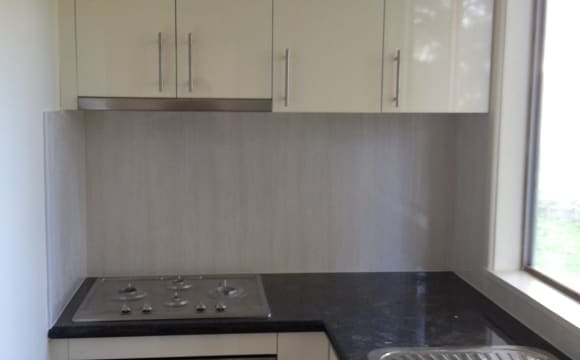 Newly renovated kitchen, good size dining and lounge room, large balcony, laundry and off street parking. 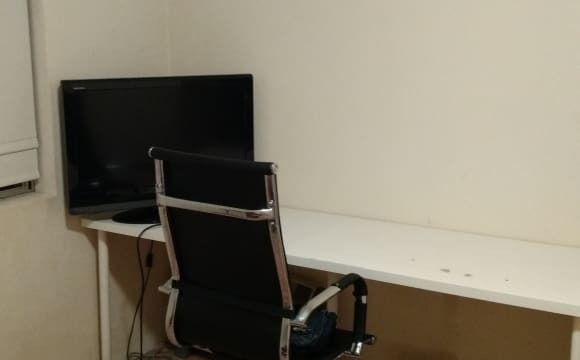 This is a furnished big master room with ensuite in the Hornsby center area with wonderful bush view looking for a non-smoking , tidy, quiet, full-time working Gentleman/student to share . only minutes to restaurant, gym , aquatic center, shops, train station and westfield. the rent of the room is A$ 230 per week including normal electricity， water, gas , internet for your personal use . Extra electricity charge for the appliance the landlord doesn’t provide such as heater and air conditioning etc.,. The Bond is 4 weeks rent. 6 months stay. 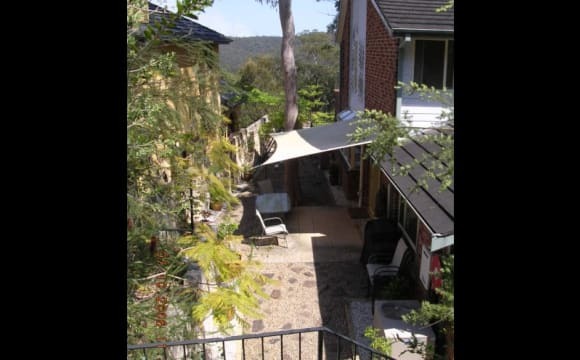 Excelent location, 5 min to Hornsby train station and shops. A seperate fridge available for you to use. All bills included. Looking for short stay . Females only.